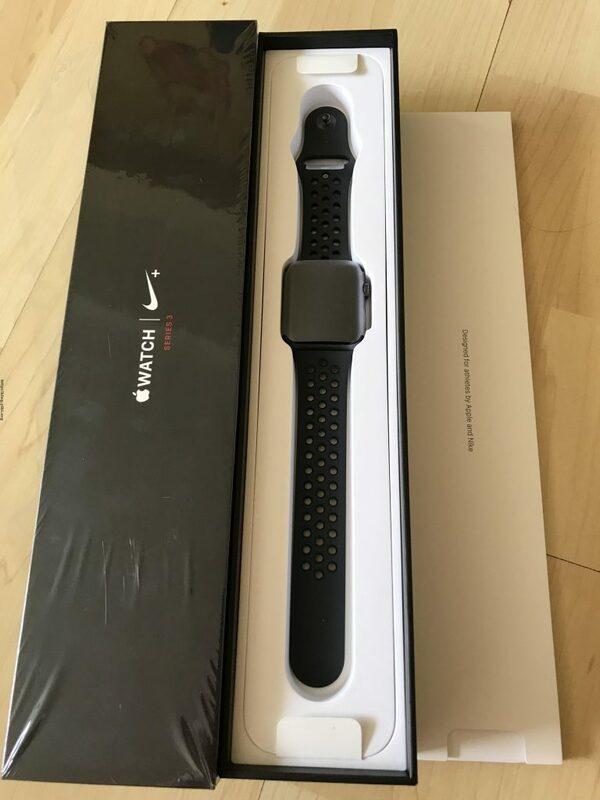 Apple announced the Apple Watch Series 3 in 2017. With this launch, there’s an additional option of having cellular function on the watch. 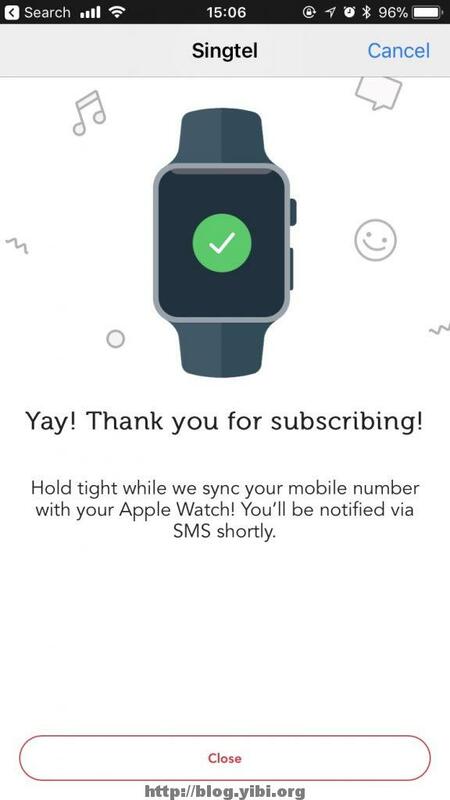 This is *THE* feature I have been waiting for on the Apple Watch. Unfortunately, the cellular version was not available in Singapore right after the launch. I predicted that this would come to Singapore in March 2018. My guess was that the local telcos are not ready for E-SIM. And I guess I’m right. Singtel just announced that they will be supporting the E-SIM in Feb 2018. The other telcos are not ready yet. I don’t have describe the setup. It’s all over the internet. 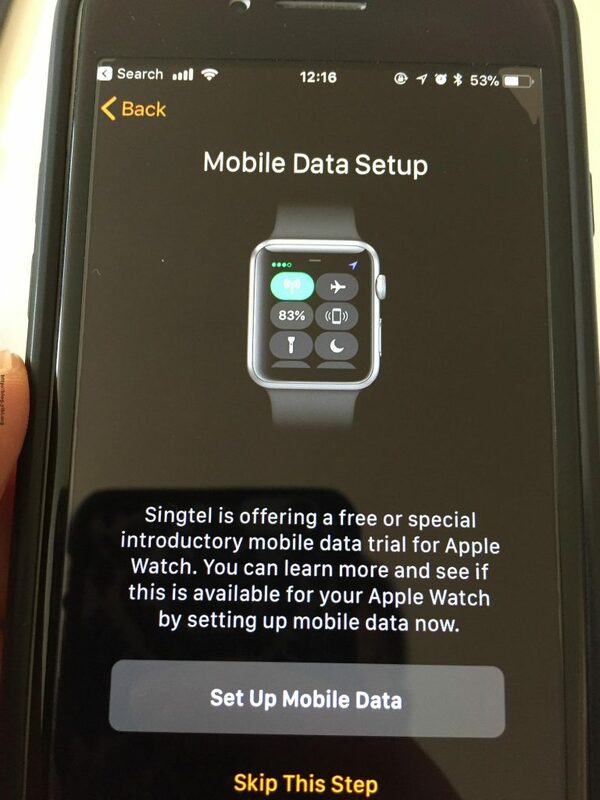 The highlight is of course the E-SIM setup on the watch with Singtel. It’s a lot of excitement, until I got to this screen. It seems like I couldn’t activate the Singtel NumberShare online. I panicked a little. 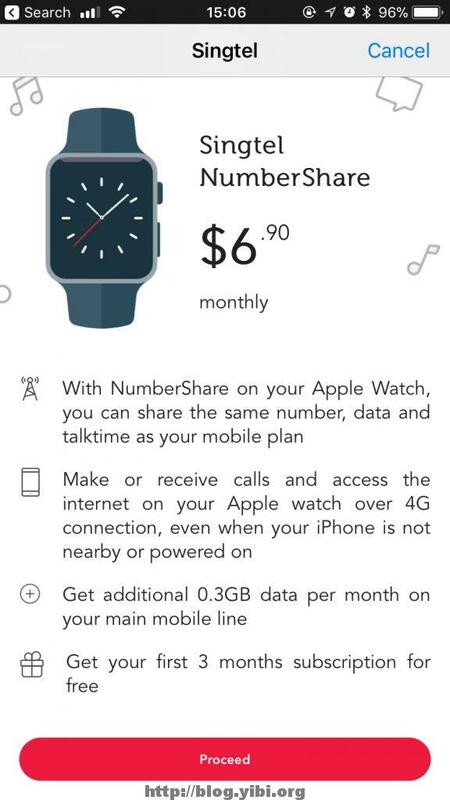 what if Singtel says it’s only for consumer lines for the time being. Then my cellular function becomes redundant. 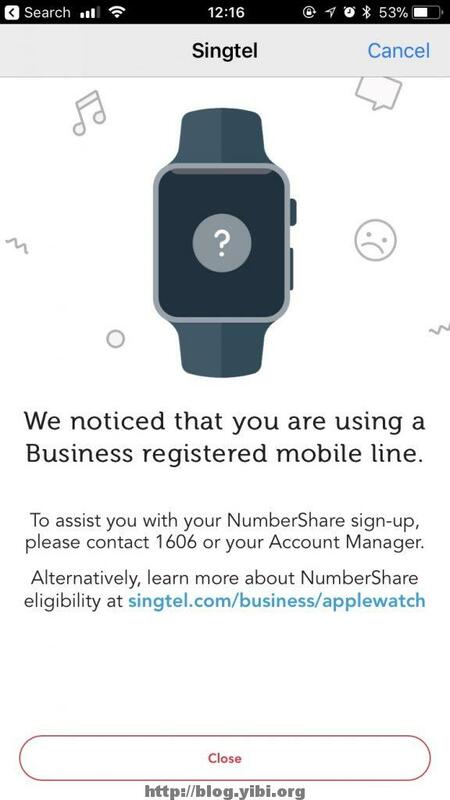 I got the watch on Sunday, so I could only call Singtel the next day. 1606 was expecting calls like mine. 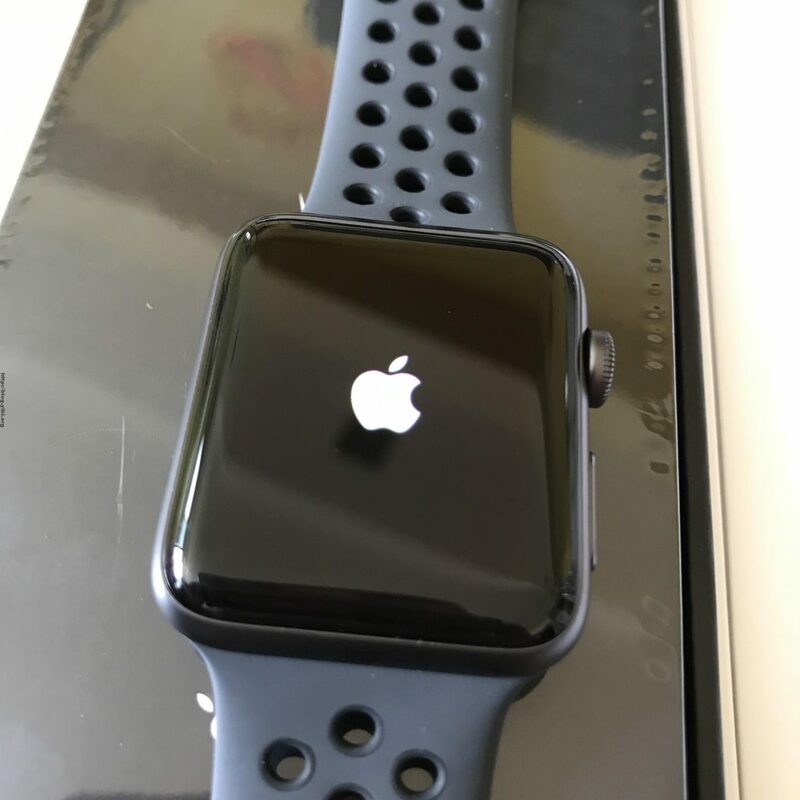 The moment I mentioned Apple Watch, the agent explained to me the charges etc. They said the function would be activated within 1 hour of the call. Cool! And there it is! NumberShare activated! So what’s the first thing to try? Turn off the phone and start calling people! I called my wife to test this out. She said I was loud and clear, with or without the AirPod. The next thing I had to try is to leave my phone at home and go for a run! This is freedom. Nothing else with me except my watch and keys. People ask me why I even need to carry my phone with me when I run. Fitness tracking aside, the more important reason is safety. For me to call if an emergency occurs or for home to contact me when I’m out for that 1 – 2 hours. The GPS sync with the Apple Watch was very fast. It’s like immediate. My Garmin VivoActive actually takes a while to get a GPS position. But then, while the tracking is now conveniently on my wrist, I must say I’m disappointed with RunKeeper. Why? Because there’s no audio cue like when we use RunKeeper on the phone. The cue is important for me because I make use of training plans on RunKeeper to train. The FAQ on the RunKeeper site says audio cue is in the pipeline. Let’s hope they don’t keep us waiting for too long. So it’s about 4 days into using my Apple Watch now. 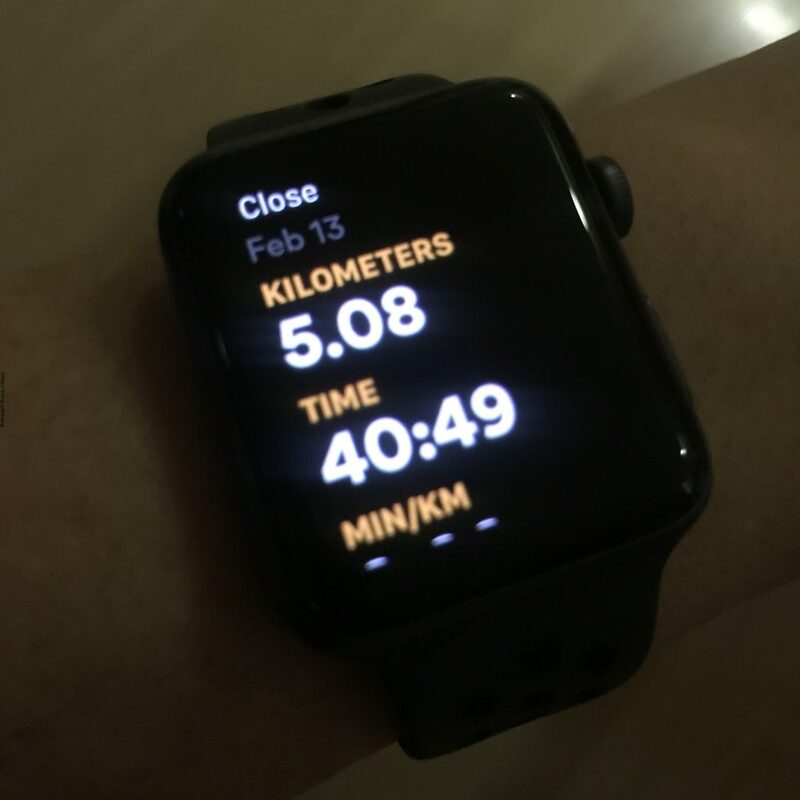 Frankly, I’m mostly using it as my fitness tracker now. But it’s a fitness tracker with phone built in. I still need to explore more and see what other useful features I can exploit from the watch.